* If your donation cannot be collected automatically then you will be emailed an invoice from PayPal Giving Fund requesting payment for the donation. 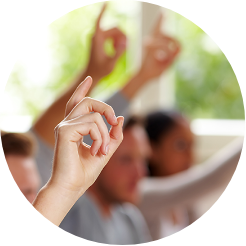 Are you an employee or authorised agent of a charity? If you're listing items on eBay directly for a charity, for example as an employee or authorised agent of the charity, you should designate yourself as a Direct Seller in our system. Once you've done this, when you list an item for your charity, eBay will automatically choose 100% as the donation percentage and the proceeds from the sale will go directly to the charity. To become a Direct Seller, you will need to ask the charity administrator to add your account to their Direct Seller list. Learn more about getting your account set up as a Direct Seller. If you don’t work on behalf of a charity, all you need to do is add the charity and donation percentage to your listing. After the item sells and the buyer pays, the system will automatically collect your donation through our charity partner, the PayPal Giving Fund. PayPal Giving Fund will email you with a donation receipt. Then, once per month, the PayPal Giving Fund consolidates all the donations collected for that charity in a single payment. If you are listing items on eBay on behalf of a charity, either as an employee or a authorised agent, you are considered a Direct Seller. 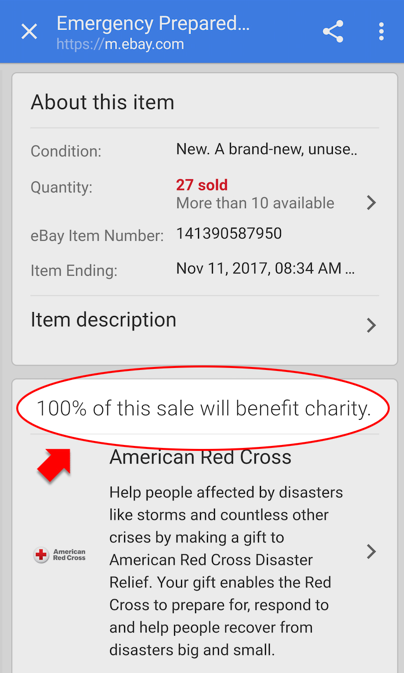 When you list an item and select that charity, eBay will automatically choose 100% as the donation percentage and the proceeds from the sale will go directly to the charity. Make sure that the charity administrator adds your account to their Direct Seller list. Learn more about getting your account set up as a Direct Seller. PayPal Giving Fund (PPGF) is a registered not-for-profit that connects donors, businesses and charities in order to help charities raise new funds. eBay for Charity works directly with the PayPal Giving Fund to enable sellers to donate a portion of their sales and buyers to shop while supporting their favourite charity. It's a win-win opportunity! Thanks to operating support from PayPal, 100% of every donation processed by PayPal Giving Fund reaches the donor's chosen charity organisation. And because PayPal Giving Fund is itself a not-for-profit, 100% of your donation amount is tax deductible to the extent allowed by law. PayPal Giving Fund also certifies the charity, provides donation and donor reports, issues tax receipts, aggregates donations for monthly electronic distribution and handles legal registration requirements. Learn more about the PayPal Giving Fund. * The charity you select will be notified of your listing according to its account preferences and has the right to request an item cancellation if it prefers not to benefit from your listing. Note: Other credits may be issued for impacted sellers in service metrics with a Very High rating for Item Not as Described returns. See the Service Metrics Policy for more information. Are insertion or listing upgrade fees charged for charity listings? Yes, insertion and listing upgrade fees will be charged for charity listings even if the item doesn't sell. However, for those listings that sell, we'll credit the insertion and final value fees equal to the percentage you donate. For example, donate 50% of your listing proceeds toward the charity listed and you will get 50% of the insertion and final value fees credited. Advanced listing upgrade fees aren't included in these credits. Learn more about selling fees. Yes, there are some limitations on what items and categories can be included in an eBay for Charity listing. The Mature Audiences category may not be used, plus offering items such as raffle or lottery tickets is prohibited. For a complete list, please go to Rules about Prohibited and Restricted Items. Also, the not-for-profit that you select has the right to request an item cancellation if they prefer not to be associated with your listing. After the item sells and the buyer pays, dispatch the item. The donation is not collected immediately to ensure the transaction is complete. * If your donation can't be collected automatically, you will be emailed an invoice from PayPal Giving Fund requesting payment for the donation. After your item has sold and you’ve been paid by the buyer, dispatch the item as quickly as possible. eBay will schedule the donation payment which you will find on your Donation Account Dashboard. The donation will be collected approximately 21 days after it sells to ensure that the transaction is complete. The PayPal Giving Fund combines donations received from eBay sellers from the 16th of the previous month to the 15th of the current month and delivers a single donation to the charity's PayPal account. For example, if a donation is paid on 10 October, the donation will be delivered to the charity at the end of October. However, if a donation is paid on 20 October, the donation will be delivered to the charity at the end of November. * If your donation can't be collected automatically, you will be emailed an invoice from PayPal Giving Fund requesting payment for the donation. You can pay these invoices with credit card, PayPal or other supported payment types. Can I also use Gift Aid with my eBay for Charity donation? Yes. Gift Aid is one of the easiest ways to make your donation tax effective. Using Gift Aid means that for every pound you give, the charity will receive an extra 25p from the government. Simply log into PayPal Gift Aid to make your declaration. When your charity item sells, provided you pay more in UK income or capital gains tax than you're asking charities to claim back in each tax year, the PayPal Giving Fund will collect the Gift Aid from the government and pass it on to your chosen charity. eBay for Charity has partnered with the PayPal Giving Fund to collect donations from eBay sellers and deliver them to the charity. If your donation can't be collected automatically, you will receive an invoice payable to the PayPal Giving Fund requesting payment for the donations due. You can pay these invoices with credit card, PayPal or other supported payment types. You can check to see if you have a charity payment method from your Donation Dashboard on the Settings tab. If I delete the invoice email from PayPal, how can I pay my invoice? We wait 21 days to collect the donations to ensure that the transaction between you and the buyer is completed including payment, delivery, refunds or returns. If the buyer doesn't pay or returns the item, the donation will be cancelled. You will receive an invoice from PayPal Giving Fund requesting payment for the donation amount approximately 21 days after your item has sold. You can pay these invoices with credit card, PayPal or other supported payment types. All your outstanding donation payments and invoices can be found on your Donation Account Dashboard. First, check your Charity Donation settings to verify which PayPal account is selected as your charity donation method. You cannot remove the PayPal account, but you can add or change your charity payment method from your Donation Dashboard on the Settings tab.